Competition readies for the season opener in Florida. 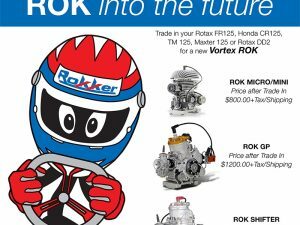 The 2016 ROK Cup Florida Championship season is now here as entries approach 100 in Jupiter, Florida at the Palm Beach Karting circuit for the first round of four. Weather is forecasted to be superb each day, with temperatures approaching 80°F and little to no chance of precipitation. Friday consists of practice as drivers prepare themselves for the weekend ahead, while Saturday holds three heat races for each category, followed by a Pre-Final and Final on Sunday. Kart360 staff are on their way to the Sunshine State and will have updates trickling in this afternoon and full race coverage starting Saturday morning. With every new season drivers look to defend their championship from a year prior. Four pilots return to defend what they earned in 2015, starting with Jeremy Fletcher in Micro ROK. The future star at Ocala Gran Prix won four of the five rounds a year ago and with that experience is the front-runner for the championship again in 2016. Regular frontman at OGP, Austin Garrison, returns to Shifter Senior ROK after topping the charts in three rounds last year. Ryan Norberg in Senior ROK and Tom Hankinson in Shifter Master ROK are the other two that are ready to back up their brilliant seasons a year ago. The three headed monster at OGP, consisting of Kyle Kirkwood, Austin Garrison, and Mathias Ramirez, are going the Shifter route this season. Kirkwood and Ramirez both competed in Senior ROK and Junior ROK respectively last year, but want to try the gears this season. None of the trio are strangers to the Shifter program, however, as Kirkwood ran S2 and Ramirez S5 in SKUSA competition in 2014. As they have for the last couple of seasons, Kirkwood and Garrison will most likely find themselves outfront attacking one another, trying to avoid the disastrous teammate tangle in Shifter Senior ROK. Ramirez will likely be the favorite for the championship in Shifter Junior ROK, but Arias Deukmedjian (Deuk Spine Racing) and Jett Noland (Piquet Sports) will help turn up the pressure. The always popular Mini ROK category leads the way in entries. With the departure of 2015 champ, DeFrancesco, we’ll see a new star rise to the top by the final round in June. Benik’s Reese Gold is the returning Vice-Champion and, with that denotation, will be the favorite to move to that top spot. It will be a crowded race at the top however, with three of the top six returning from a year ago. 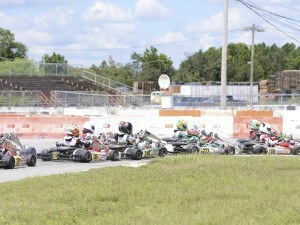 Along with Gold, teammate Tyler Maxson and SLA Kart driver Alessandro DeTullio return. Sebastian Montoya ran three rounds a year ago with this very circuit being his best result by far. With another great result, this round could catapult him into the championship discussion. Luca Mars (COMPKART) — new to the series — is no stranger to the Mini ROK program and will use the experience in his second season to start the championship off on the right foot. In a fairly-down field of Senior ROK drivers, the nationally recognized Floridians of AJ Myers and Ryan Norberg highlight the category. Myers will be on his familiar iKart with Norberg joining up with Orlando Karting Center in 2016 aboard a Tony Kart. With similar high levels of talent, we could very well see a weekend-long battle between these two that comes down to the final lap on Sunday. With the departure of Anthony Gangi Jr. to European racing, the door is open for a new champion in Junior ROK. Dylan Tavella re-joins Iron Rock Motorsports aboard his BirelART for his second season of Junior competition and leads the way in predicting the championship. Tavella ran just one round last year, the final round, and finished third in the Pre-Final before retiring early in the final. Also in Junior ROK, Canadian Ryan MacDermid has started the season off really well at the Florida Winter Tour and will be a favorite to take the win with help from the OGP team. Mini ROK Champion Lachlan DeFrancesco returns with Benik Kart, but now in the Junior ROK category aboard the FA Kart. Already with two other races under his belt in the category this year, the up-and-coming talent will use that experience to continue his climb to the top. Updates from round one continue all weekend long on our On Location page. You can also keep updated on our social media pages Facebook, Twitter, and Instagram. 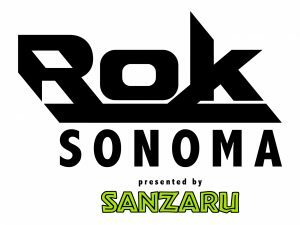 ROK Sonoma Presented By Sanzaru Annual Awards Banquet: 2018 Over $20,000 In Awards Including Three Race Car Tests!